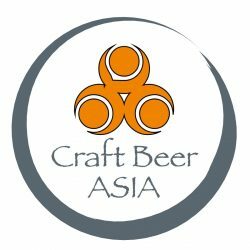 We’re just beginning to build our Vietnam craft beer directory. If you own or support a Vietnam craft beer business that you want included, please contact us on Facebook. Open 4pm-11pm; Fri & Sat until midnight. Claim from FB: “Craft Beer Pub is a new bar designed like a old french farm with a plenty wood inside. Craft beer pub propose 8 beers on tap, with a craft beer made in Vietnam. We also propose a yummy burgers and great fingers food all day. Every Thursday Buy one of our burger get one FREE.” Open 9am-2am. Lost dog. Does anybody know more about this place? Chill music, overlooking a lake. What more do you need to know? Operating hours are: Monday closed; Tues-Sat 4pm-midnight; Sunday 2:30pm-midnight. Seems to be a bottle shop specializing in mostly German and Belgian bottled beers. Open daily from 9:30am-8pm.